Today, June 12, is “Red Rose Day.” Red roses are the most popular color of roses, which in turn, are one of the most popular flowers. They were actually introduced to Europe from China in the 1800’s. Red roses are a symbol of love and romance. The color red itself is also perhaps the most striking, since it’s a primary color. But, red grabs people’s attention; one reason why stop signs are red and red lights adorn police cars and ambulances. Therefore, it’s considered an aggressive color. But, since red is the same color as blood, it’s an emblem of life. 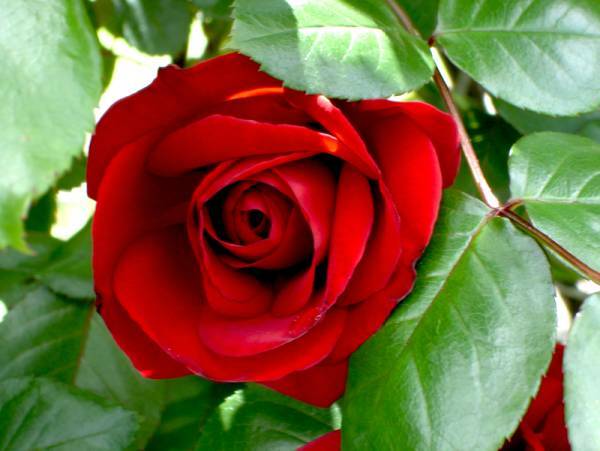 In Greek and Roman mythologies, the red rose was affiliated closely with the deities of love, Aphrodite and Venus, respectively. And, as you might suspect, June happens to be the most popular month for weddings in the Northern Hemisphere. You really don’t need a special day or occasion to give someone a red rose; just give one or more to those special people in your life. Special thanks to fellow blogger Sunny Sleevez who describes herself as a “freckly red head.” That just happens to be my favorite hair color, so sometimes, things just turn out right.